Email behemoth Gmail has taken the time to explain the various� reasons why email might end up in the Gmail spam folder. 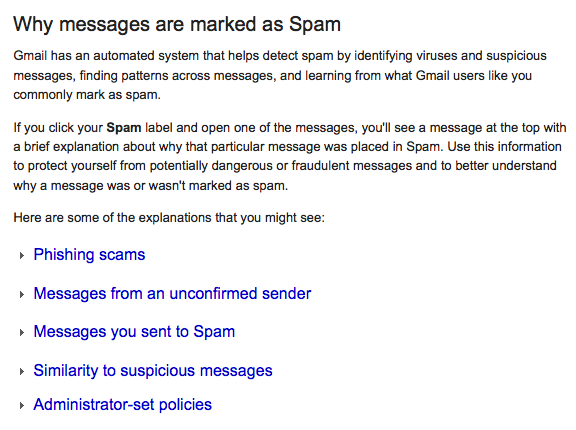 You can expand the various sections for detailed explanations for why some email is sent to the Gmail spam folder, what you need to know to prevent it from happening to you and what actions you can take to manage email of this type. Interested? Download GroupMail newsletter software and get your email sent to the Gmail inbox.